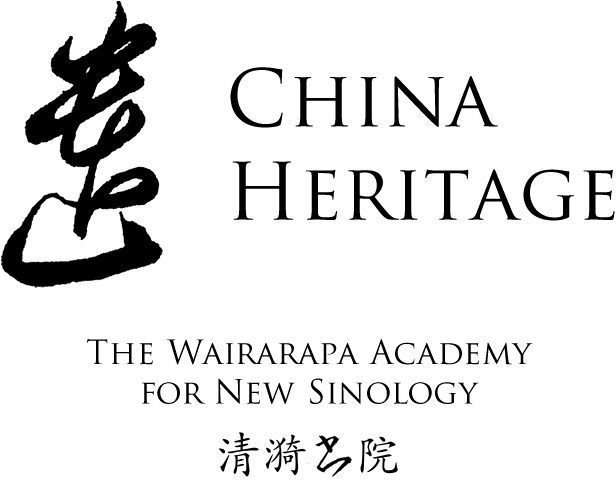 In China Heritage we celebrate the vital aspects of the Chinese tradition both by introducing readers to Nouvelle Chinoiserie 奇趣漢學, as well as by adding to our long-term advocacy of New Sinology 後漢學, which we first articulated in 2005. Previously we have illustrated this way of appreciating contemporary China in the context of the tradition in the series New Sinology Jottings 後漢學劄記. We also publish translations related to contemporary Chinese politics and culture. Today, the Xi Jinping-era version of The China Story claims to be the sole legitimate way to understand China, both present and past. Many writers, journalists and academics, be they inside China or overseas, strain to hear, report, create stories or translate the polyphony of voices, the jostling of ideas, aspirations and the melding of the traditional with the contemporary that can inform an engaged yet independent appreciation of the Chinese world unencumbered by Communist Party dogma. It is the task of China’s Communist Party organs like People’s Daily to corral a Chinese multiverse that is constantly threatening to break out of the prison of words. Through our advocacy of New Sinology we hope to aid and abet people to appreciate better the limits of that party-prison. In the following lessons, we also discuss the kinds of literary-historical-intellectual 文史哲 usage and allusions used in contemporary writing that add both literary validation and strength to prose that appeals both to the heart and the mind of the Chinese world. Merely to mine this kind of writing for transient and ill-conceived political purposes, or to fail to appreciate the broader cultural, social and political ambience that it reflects — one far beyond the limited purview of the Communists and their immediate critics — is to overlook an essential part of Chinese cultural expression.